us her ‘When I Grow Up I Want to be a Gay Icon’ piece and also (among others) a little piece called ‘Crimson’ which is full of striking ‘s’ sound effects (there’s a word for that but I can’t think of it just now). 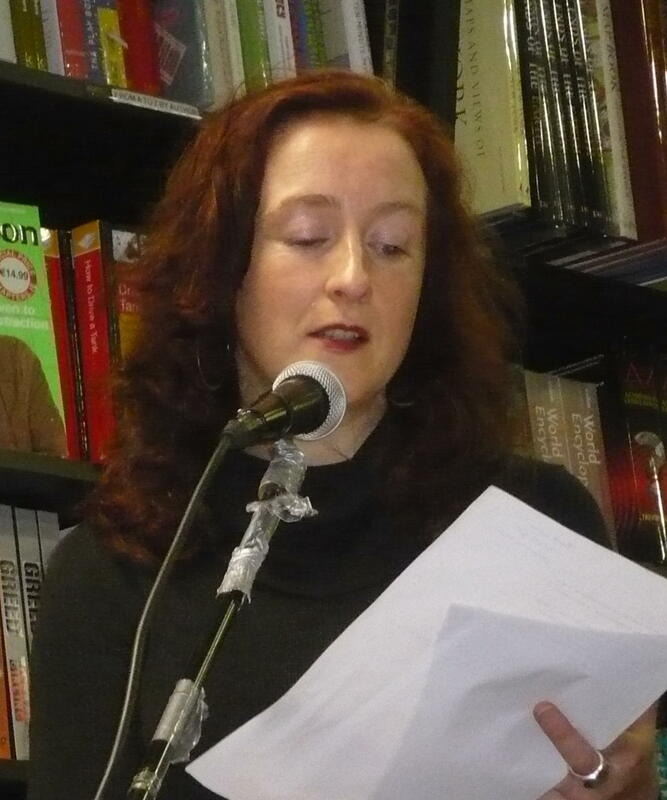 All in all, the readings were very enjoyable and MC’d as usual by the redoubtable Sarah. Next ‘7 Towers’ Dublin event is next Wednesday 7.30pm Cassidy’s Bar in Westmoreland Street. See you there! Previous Post: The Ragazzi (Ragazzi di Vita) by Pier Paolo Pasolini, (Trans. by Emile Capouya). Publ. Carcanet 1986. Original Italian text published in 1955. Next Post: ‘Women’ by Charles Bukowski. (First published WH Allen 1981).